There are 4 parkland courses to choose from, ranging from the par 72, 18 hole course to the 18 hole pitch and putt course. 8 miles north of Dublin City. Full hotel facilities available. Speaking as a beginner, it is a nice course. But very quickly, as you become a better player, the poor quality of the fairways - and the greens in particular - begin to irritate. The views are spectacular but without some investment I fear Deer Park may become a distant memory for any player looking for a well maintained course. 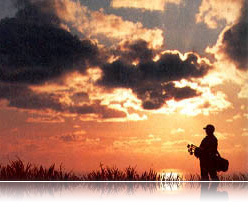 Deer Park Golf course is a traditional 'parkland' golf course with some great views. Mature trees and thick rough great wayward shots. However, I feel the course has not recieved financial investment over recent years and I could not help but feel it was a little scruffy and easy improvements could be made. The course had a feeling of one that was over-played. The on-site hotel is rather like the golf course - scruffy and in need of investment. The only thing good about this course is the views. A lot of holes are very similar. You can hit a bad drive and be on another fairway with little or no damage done. also you need a 4x4 to get up some of those hills. Fantastic place to have a game. Not the hardest course i've ever played but quite challenging even more with windy conditions. Nevertheless, i regret thqt this place is not protected from intruders that walk around and in the course and through on the fairway their litters. I played last week and it was full of non players getting taned and peaced and the pitch letting after themselves all their bear cans and so on. That's just regretable. Nice view from the hillside.ok course.some of the grumppies staff in europe.no markers to the green.But still some how people queue to play???? A great place to take the family. A 10 hole course for the kids, and two 18's for adults. It is close to the ocean and very reasonably priced. The hotel has snooker rooms and other entertainment for all. The room price includes cereal, tea, coffee, toast etc. in the room. Good inland parkland course that culminates with a spectacular view of the eye of Ireland and the Irish Sea on the 18th green. Great place to get the game warmed up. One of the most beautiful opening hole I have seen. Panoramic view of Dublin bay and North county Dublin. While not the most difficult course, challenges arrive on many holes. Some of the Par 4 holes are very long with the 3 par 3 holes being straight forward. The par 5s are also very long but very gettable. On a windy day this course is very challenging. Very hilly providing good exercise and a cheap golfing experience.